It's back! RuneScape's illustrious membership club has returned with new rewards for the upcoming year. 2014 boasts epic new quests, the brand-new Invention skill and more massive in-game events. All this is just a glimpse of what RuneScape has in store for members in the upcoming year. You really don’t want to miss out on all of this, so put RuneScape membership on your Christmas list and join the Premier Club! Promotional Items from 2013 and 2014, including pre-paid card cosmetic items. Already a member? Joining the Premier Club won’t cost you any membership days. Your existing membership will be paused, and when your Premier Club membership ends, your original subscription will resume. Entry to the Premier Club is open for a limited time only, so don’t miss out on any of these amazing benefits – click here and join the Premier Club now! 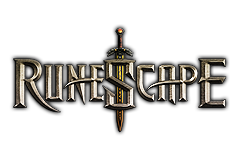 An important note about Bonds: You will be able to redeem your RuneScape Bonds for Premier Club Membership from Wednesday 11th December.